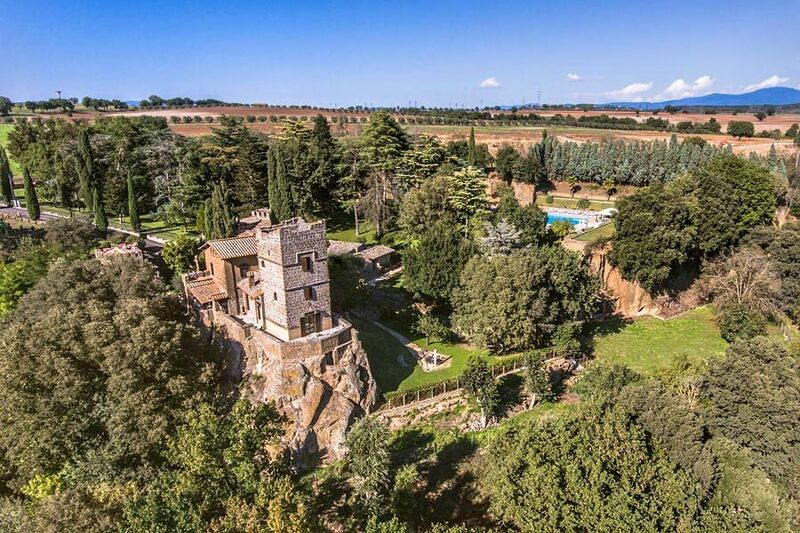 An atmosphere of stories from long ago, the enchantment of beautiful landscapes, the exclusiveness of a breathtaking location and excellence in every detail: these are the key elements offered to guests of Residenza Antica Flaminia. Residenza Antica Flaminia is the perfect spot for dreaming with your eyes wide open: a wedding fit for a princess, a private party, a business meeting, a thrilling day trip, a dive into the pool or just a little relaxation in the open air. An unforgettable venue for a very special occasion: your wedding at Residenza Antica Flaminia. Apart from its extraordinary venue spaces and surroundings, the staff team as well as consolidated partners at Residenza Antica Flaminia provide future spouses with creativity, assistance and experience, for each phase of event organisation. A large swimming pool and jacuzzi is located in the park's lush greenery, with splendid views of the nearby Roman quarry. In the small village instead, the Casa del Guardiano, Dimora del Giardiniere and the Villa Padronale. You can be reserved exclusively the entire residence and make use of all the suite for the newlyweds and their guests, for a total of 17 beds, besides a luminous Green House and a pretty private chapel awaits you in the courtyard, where you can celebrate Catholic rituals, renewal of vows and anniversaries. Residenza Antica Flaminia has successfully passed the 100 Quality Controls established by the "Certification Protocol of Historic Houses of Excellence" and is properly certified by the ITALIAN REGISTRY OF THE HISTORIC HOUSES OF EXCELLENCE. The phone number of Residenza Antica Flaminia is +39 07611767550.